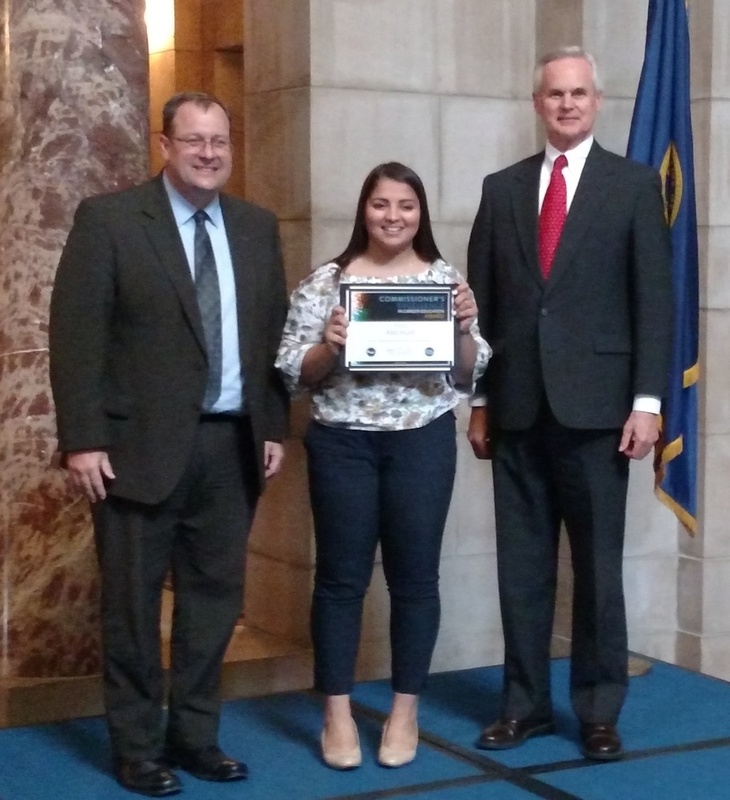 Alia Hurst, 2018 graduate of Fillmore Central, was recognized at the Commissioner’s Recognition for Student Excellence in Career Education held on November 19 at the Nebraska State Capitol Rotunda. The recognition assembly is conducted to honor students who had outstanding performance at their respective National Leadership Conferences. Alia received first place in the public speaking event. Following a welcome by Commissioner Dr. Matt Blomstedt, opening remarks were given by Lieutenant Governor Mike Foley. When introducing Alia, Alek Timm, current State FBLA President stated, “this event recognizes FBLA members who are developing qualities of business leadership by cultivating effective speaking skills.” Participants write and perform a speech based on one or more of the nine FBLA goals. Hurst presented her five-minute speech relating to the goal of facilitating the transition from school to work along with 120 other national qualifiers. After the ceremony, Alia and FBLA adviser Cindy Talley along with other recipients and guests were invited to the Governors Mansion for refreshments. 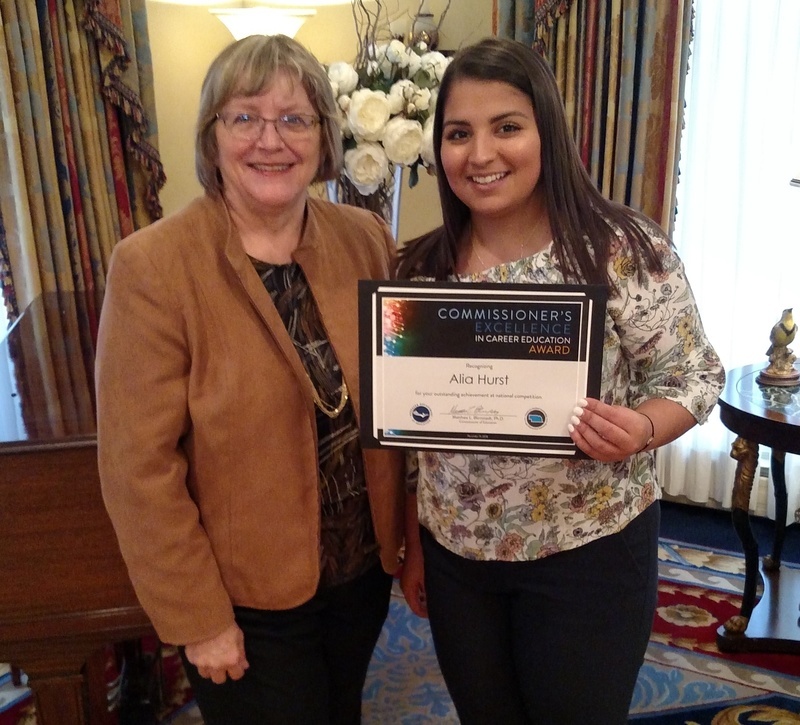 Alia is currently attending Concordia University and is involved on the speech team there.